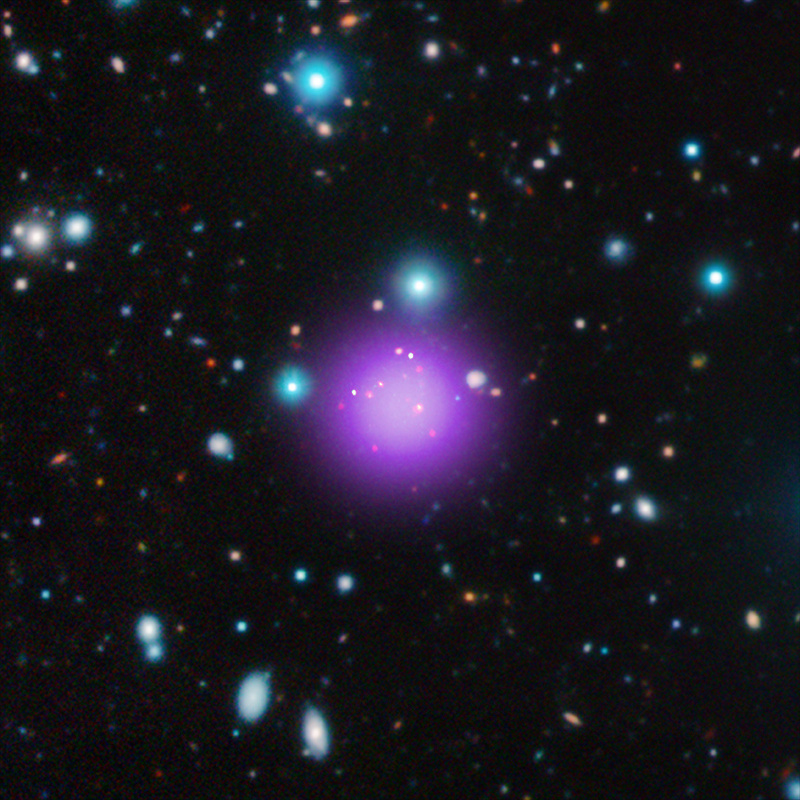 This image contains the most distant galaxy cluster, a discovery made using data from NASA’s Chandra X-ray Observatory and several other telescopes. The galaxy cluster, known as CL J1001+0220, is located about 11.1 billion light years from Earth in the constellation of Sextans and may have been caught right after birth — a brief, but important stage of cluster evolution never seen before. This is a composite image where X-rays are purple, infrared is red, green and blue and radio green. Image credit X-ray: NASA/CXC/Université Paris/T.Wang et al; Infrared: ESO/UltraVISTA; Radio: ESO/NAOJ/NRAO/ALMA. The galaxy cluster is called CL J1001+0220 (CL J1001 for short) and is located about 11.1 billion light-years from Earth. The discovery of this object pushes back the formation time of galaxy clusters — the largest structures in the universe held together by gravity &mash; by about 700 million years. The core of CL J1001 contains eleven massive galaxies — nine of which are experiencing an impressive baby boom of stars. Specifically, stars are forming in the cluster’s core at a rate that is equivalent to over 3,000 Suns forming per year, a remarkably high value for a galaxy cluster, including those that are almost as distant, and therefore as young, as CL J1001. 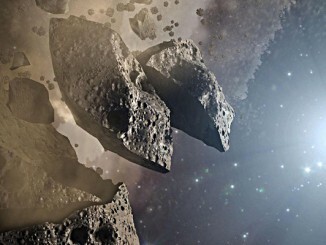 In comparing their results to computer simulations performed by other scientists of the formation of clusters, the team of astronomers found that CL J1001 has an unexpectedly high amount of mass in stars compared to the cluster’s total mass. This may show that the build-up of stars is more rapid in distant clusters than simulations imply, or it may show that clusters like CL J1001 are so rare that they are not found in today’s largest cosmological simulations. 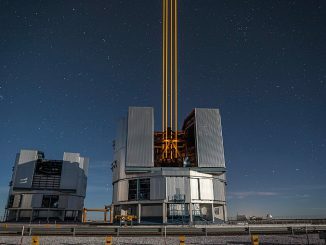 The result is based on data from a large group of observatories in space and on the ground including Chandra, NASA’s Hubble Space Telescope and Spitzer Space Telescope, ESA’s XMM-Newton and Herschel Space Observatory, the NSF’s Karl G. Jansky Very Large Array, the Atacama Large Millimetre/submillimetre Array (ALMA), the Institut de Radioastronomie Millimetrique Northern Extended Millimetre Array (IRAM NOEMA), and ESO’s Very Large Telescope. A paper describing these results appeared in The Astrophysical Journal on 30 August 2016 and is available online. The destruction of a planet may sound like the stuff of science fiction, but a team of astronomers has found evidence that this may have happened in an ancient globular cluster of stars at the edge of the Milky Way galaxy. 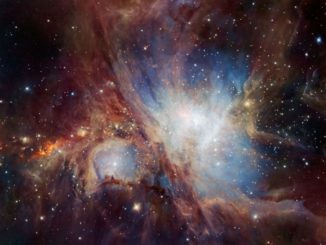 A deep infrared view of the Orion Nebula reveals an abundance of faint brown dwarfs and an unexpected number of planetary-mass objects, key elements in studies of star formation and the environments that produce them.